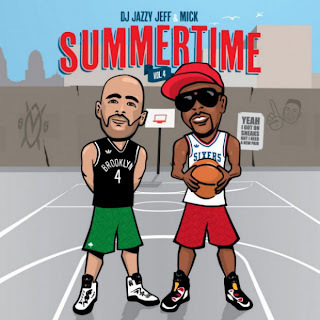 Not only is Summer time great for pools and BBQing, but it's also the time that DJ Jazzy Jeff teams up with Mick Boogie to release a new mixtape, this one called Summertime Vol. 4. As usual the duo create the perfect blend of classic jams from the likes of Little Brother, Will Smith, Jill Scott, and tons more. If you are looking for that perfect music mix to get your Summer bumpin' then this is the mixtape you want. Stream and download below.